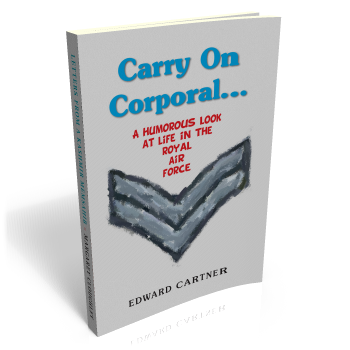 In this, his latest collection of amusing stories looking at the lighter side of life in the armed forces, former RAF officer Edward Cartner takes a humorous look at the traditionally uneasy relationship between officers and NCOs. Although the officers are theoretically in command it is often NCOs who gain the upper hand ~ by fair means or foul ~ a theme that features in many of these stories as wily corporals and sergeants repeatedly display their ability to turn events to their own advantage. Anyone who has served in the military will be sure to recognise the situations described and ~ no matter which side of the officer/NCO divide they might have found themselves on in the course of their military career ~ they are guaranteed to find a great deal to laugh about. The best eCommerce software by ShopFactory powers P283. All-in one eCommerce and shopping cart software.